Amtrak's Acela Express has certainly been a success. Since its inception a little more than a decade ago, Amtrak has made significant inroads into the market that has been dominated by the shuttle airlines between Boston, New York and Washington. 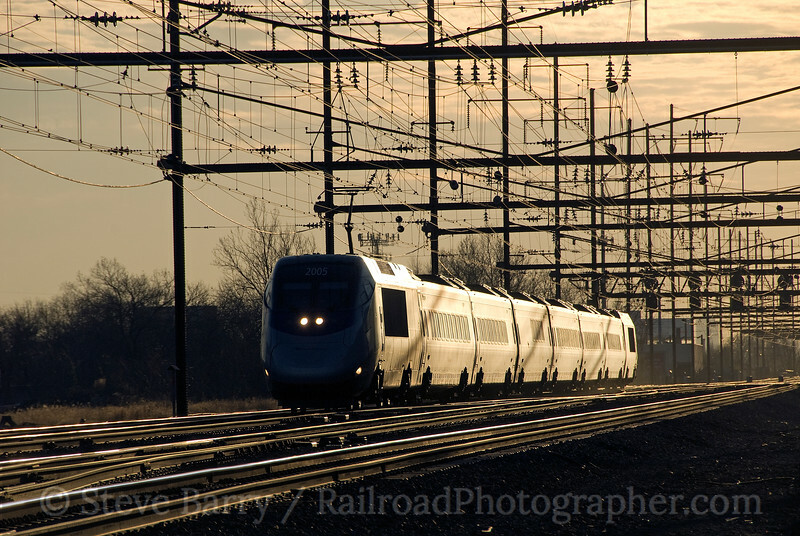 The Northeast Corridor is the closest the United States has to true high-speed rail. 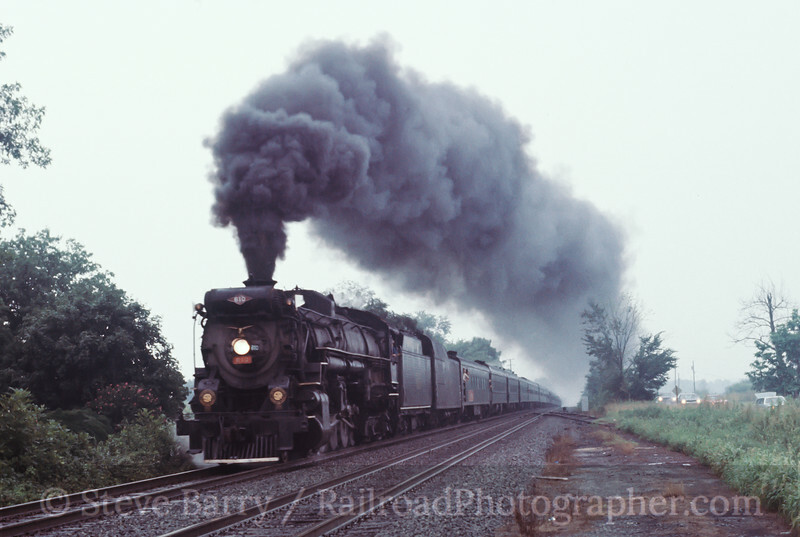 It was the Pennsylvania Railroad that brought electrification to the railroad between Washington and New York. The Pennsy was just about to merge into the Penn Central (with the New York Central) when it debuted its new high speed Metroliner trains. These self-propelled trainsets raised speeds on the Corridor, and operated through the Penn Central years and into Amtrak in 1971; they were the precursors to the Acela. The Metroliners were aging, and not gracefully. 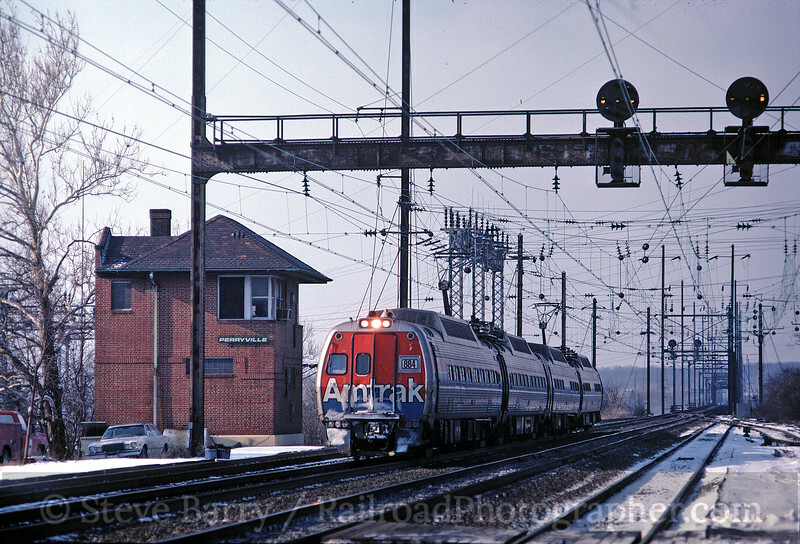 By the 1990s conventional locomotive-powered trains were holding down Metroliner schedules (and carrying the name as well), while the actual Metroliner cars were bumped to Keystone service between New York, Philadelphia and Harrisburg. Amtrak needed new high-speed trains. But first, in order to capture the Boston market successfully, it had to upgrade the Corridor east of New York, where electric locomotives powered trains to New Haven, Connecticut, and diesels continued east to Boston. Amtrak commenced to stringing wire in anticipation of its new trains. First, Amtrak had to decide on what it wanted. To get a better idea, it borrowed two trainsets in regular service in Europe. First up was the X2000 from Sweden. 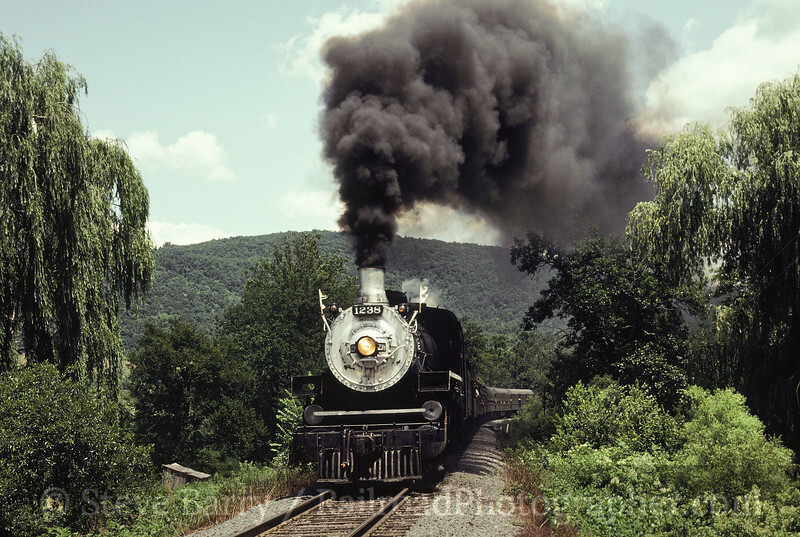 Fast and lightweight, the X2000 featured tilt technology that allowed the passenger cars to tilt on curves, countering centrifugal force and allowing for higher speeds on curves (a necessity given the curve-laden nature of the railroad east of New Haven). 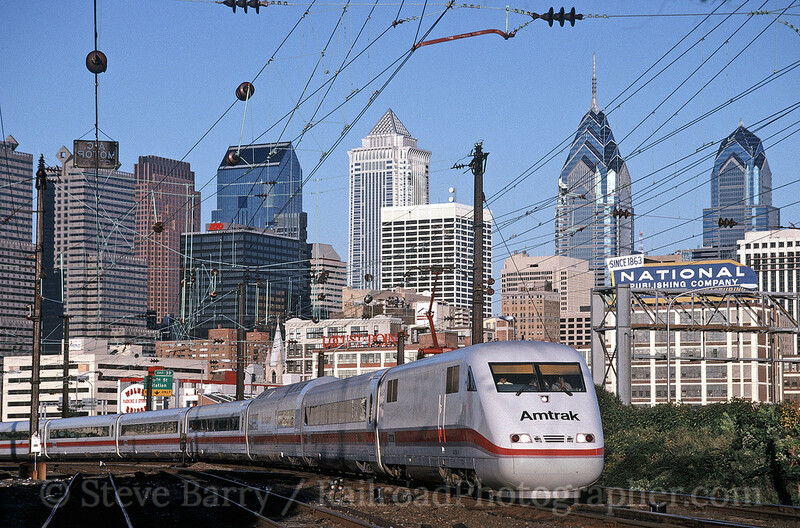 The X2000 certainly impressed Amtrak as it worked in regular service for several months during 1993. The next train to test on Amtrak in regular service was the ICE (Inter City Express) from Germany. While the X2000 was light and nimble, the ICE was brute force with its rapid acceleration. With the two trainsets tested, Amtrak took the best of both worlds, combining the tilt technology of the X2000 with the strength of the ICE. Bombardier was hired to build the new trains, which were called American Flyers while under construction. 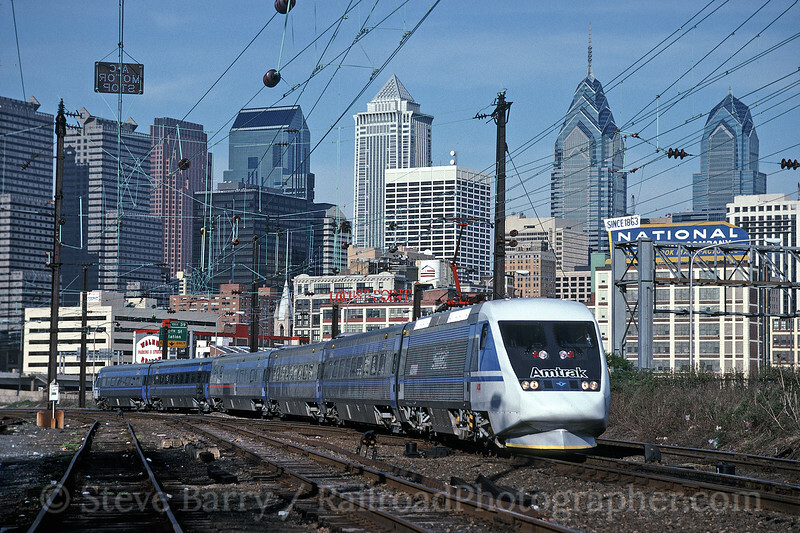 Acela finally made its debut on December 11, 2000. 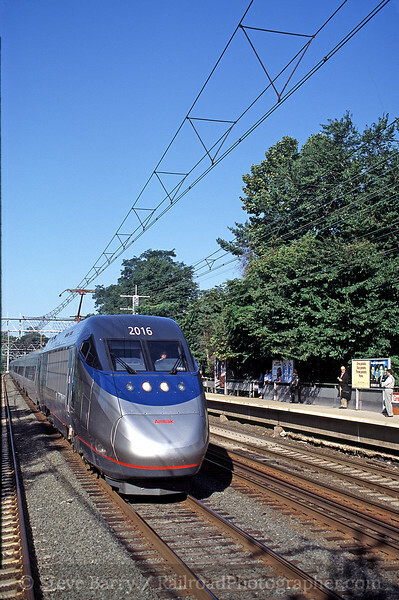 While there have been occasional problems (the entire 20-train Acela fleet was taken out of service briefly in 2002 and again in 2005 for maintenance issues) there is no question that it has been a success. I was fortunate enough to catch the Amtrak test trains (X2000 and ICE) and even rode the cab of the ICE between Trenton and New York and back (it was quite a ride!). When the Acelas entered service the upgrading of the New York-Boston segment hadn't been quite completed -- obviously the wire had been finished from New Haven to Boston, but the older infrastructure between New York and New Haven needed replacing. In August 2001 I was able to get a new Acela trainset passing under decades-old triangular wire on the former New Haven railroad (right). Some say the Pennsylvania Railroad's classic GG1 locomotives were the best thing to ever run under wire on the Northeast Corridor. It would be foolish to argue otherwise, so I won't. But I will say the Acela trainsets are a worthy successor to the GG1s and make for quite a sight coming down the tracks. Power and speed -- all in a classy package. They have one decade under their belts now and should have another two or three to go. 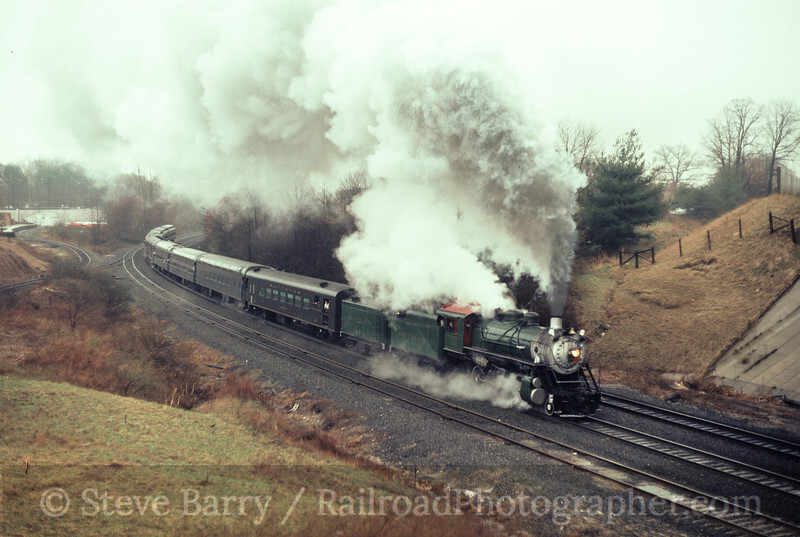 Jim Boyd, former editor of Railfan & Railroad magazine, passed away on New Year's Eve 2010. It would probably be fair to say that no other single person influenced the railroad hobby as much as Jim did in the 1970s and 1980s. Through the magazine (which started in 1974) he shaped the rail enthusiast world by bringing steam trips and train chasing and numerous other aspects of the hobby into the mainstream. 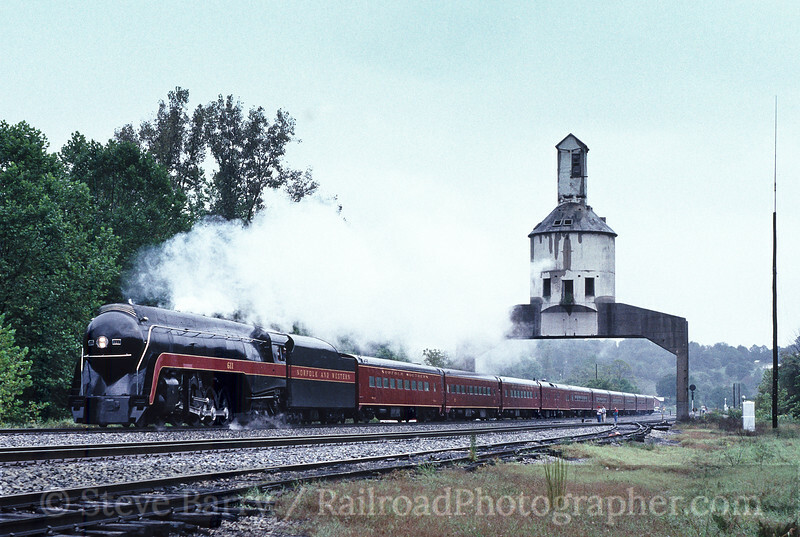 And while he didn't do anything groundbreaking, what he did do was make some of the mysteries of railroad photography available to the masses through his Camera Bag column and his group night photo sessions. Ah, the group night photo session. 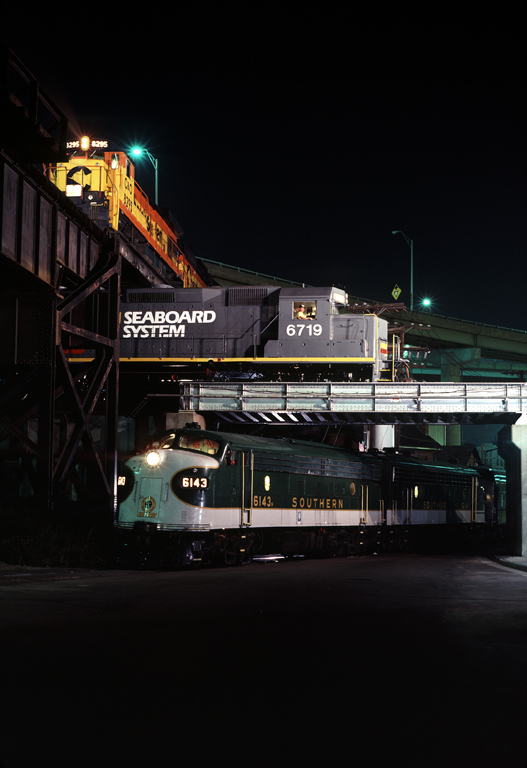 For decades photographers have been taking pictures of trains after dark. And while people like O. Winston Link were doing it on a grand scale with dozens of flashbulbs lighting up entire towns in one big burst of light, there were people who were doing night photography on a smaller scale with maybe a single flash gun. Open flash photography (often called "painting with light") involved locking open the camera's shutter, loading a bulb into the flash gun, firing the flash at a point on the subject being photographed, ejecting the spent bulb, loading a new bulb, moving several feet along the subject and firing the flash at a different point on the subject. 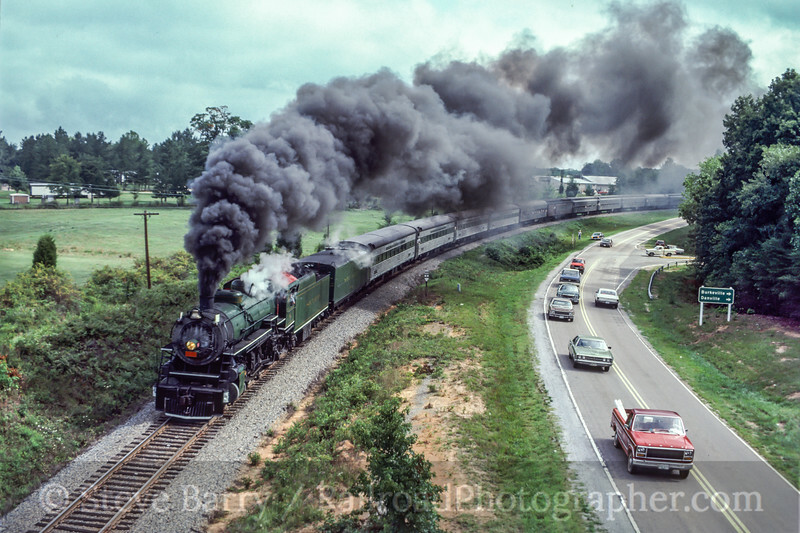 Eventually the entire locomotive would have had a flash on it and the shutter would be closed. Depending on the size of the subject and how fast the photographer could eject and reload bulbs, the shutter could be open for 30 seconds up to two minutes or more. And while Link was working with moving subjects that required synchronization to one camera, the static subjects of open flash could be captured by multiple cameras simultaneously. Jim Boyd was not the first to do open flash photography. He probably wasn't the first to conduct a group night photo session. 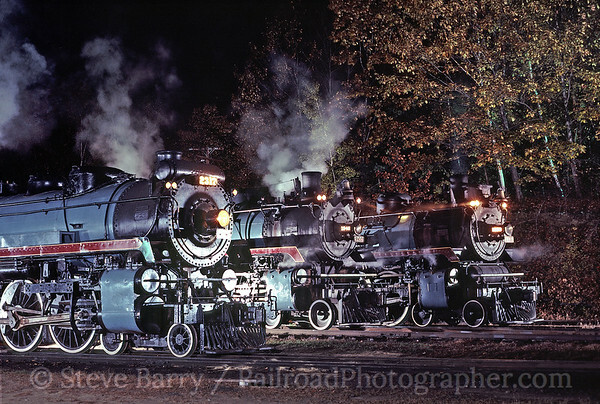 But in the 1970s his night photo sessions at Cass Scenic Railroad in West Virginia and Steamtown U.S.A. in Vermont (above) brought delightful results to groups that could include 100 or more photographers. 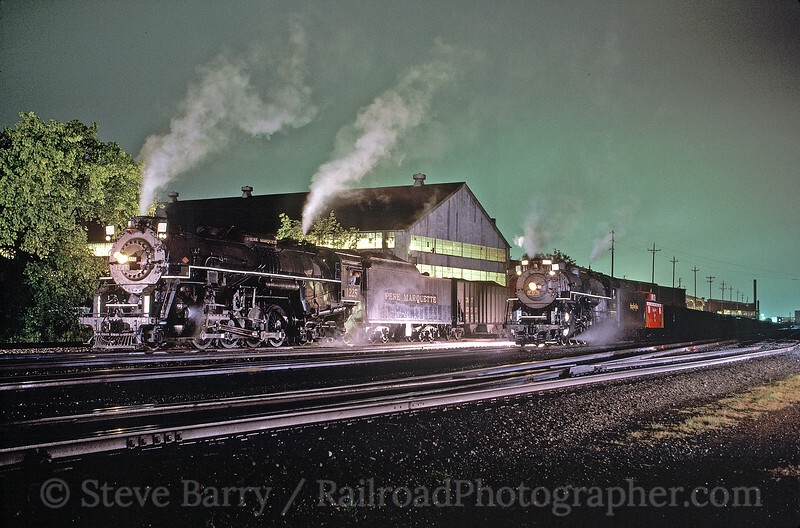 The first group night photo session of Jim's that I attended was one at Steamtown. His night sessions soon became staples of the National Railway Historical Society's annual conventions. 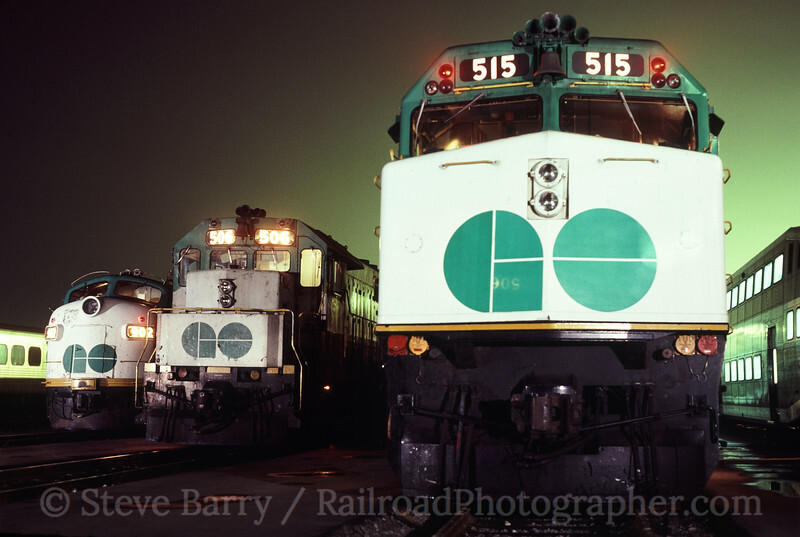 At the 1980 Convention in Toronto (the second one I attended) he did night sessions that included streetcars, Canadian Pacific diesels and GO Transit's commuter trains. Perhaps the most ambitious of the night photo sessions occurred at the NRHS Convention in Richmond, Virginia, in 1983. Richmond has the only "triple crossing" of three main line railroads in North America; at the time there was the Southern Railway at ground level, with Seaboard System above it and Chessie System above them all. 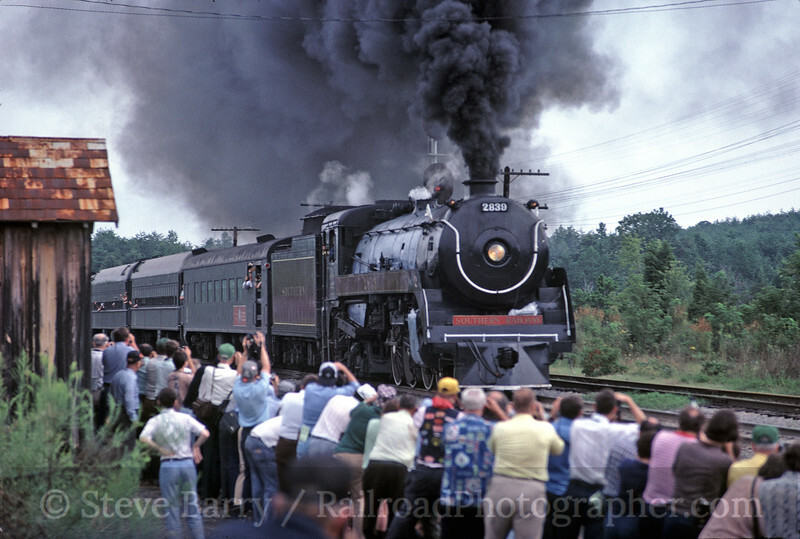 Jim arranged for all three railroads to provide locomotives and short trains and he and his staff lit the entire scene for about 100 photographers. It will go down as one of the most classic open flash shots of all time. Today the Triple Crossing is still there, with Norfolk Southern on the bottom and CSX Transportation controlling the two elevated levels. The 1991 NRHS Convention was in Huntington, West Virginia, and the night photo session had a new problem -- it was pouring rain. While the photo line was busy getting wet and trying to keep cameras dry, Jim (who was also an avid diver) simply put on a wetsuit so he could throw the flash in the storm. 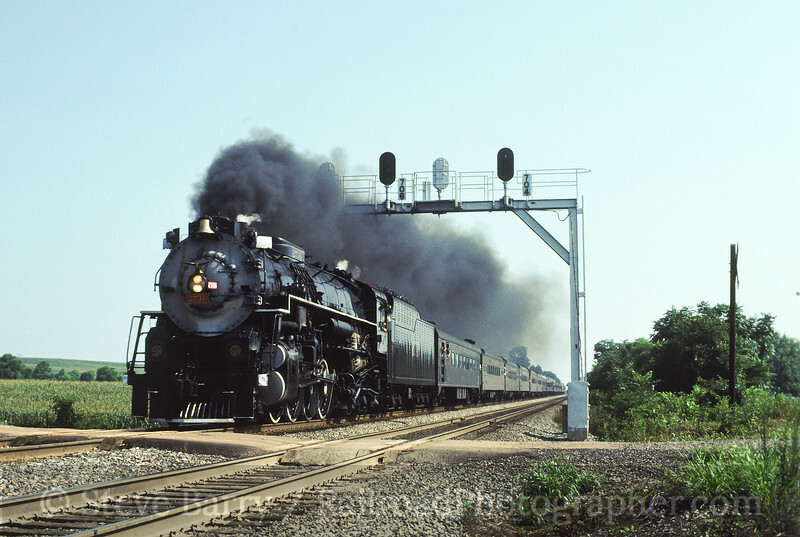 The session featured two large steam locomotives, Nickel Plate Road 765 and Pere Marquette 1225, two locomotives that would later star together 17 years later at Train Festival in Michigan in 2008. If I recall correctly, Jim's last NRHS night session was at San Jose in 1992. By this time the flashbulbs that he used (large bulbs the size of a standard household lightbulb) were getting expensive -- if you could find them at all. Jim had shared his knowledge of how to conduct night photo sessions with a new generation, and these guys had adopted high-powered strobes to replace flashbulbs. Jim was perfectly happy to stand back and watch the next generation take over. Eventually I wound up conducting several night photo sessions for NRHS and other events. I still use the same commands Jim used -- "stand by" just before the shot is ready to be taken and "open 'em up" when the flash is ready to be thrown. Every time I yell "open 'em up" and here the clicks of dozens of shutters being tripped, I'll say a small thank you to Jim Boyd for sharing his knowledge that has let the photographers following him get the same kind of results that made Jim famous.